Successful Instagram marketers admit that quality video content can serve as the key towards achieving their goals. From advertisements to Stories, videos should be actively involved. We have picked up the most effective ways that will help your video content stand out! Remember that Instagram Stories were created to be funny, impromptu and ephemeral. They needn’t be perfect, relax! Some Insta users may watch stories with sound off. Hence, make sure your posts have captions to make sense even without sound. To add humor or draw attention on a certain part of the video, use stickers. Choose from 11 filters available to set the tone of your video. Edit before posting. Devote some time to filtering and editing your video ad as you won’t have any opportunity to refine if once posted. Make sure your video ad is not too salesy. Strive to make the ads upfront and recognizable, yet with a storytelling element. They should have a distinctive style that can make the right first impression and drive the audience directly to your store or website. Every good video ad should have a call to action to drive traffic. This can be as simple as “click to learn more”. Utilize appropriate formats, which are MOV and MP4. Be focused and set one goal for one video with a respective tone and theme. Aim for high-end content. Use eye-catching visuals. Adobe Spark app can be of a great help here, by the way. 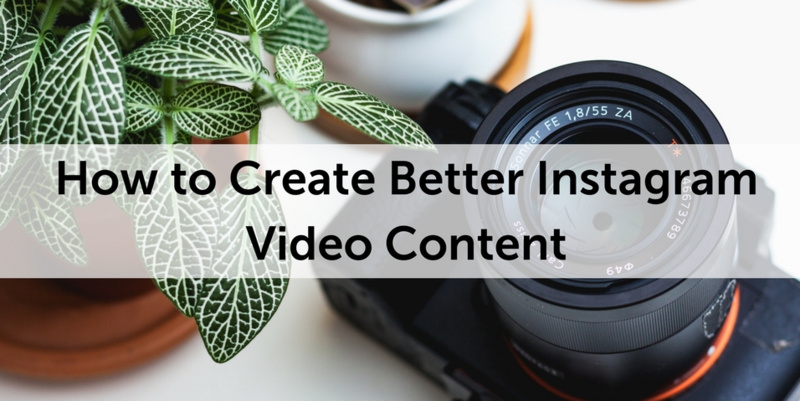 Add engaging captions to give your audience more information about the video. Look at hashtags and emojis as a supporting element. Instagram Live is the thing of the moment and doesn’t require any extensive planning. Yet, there are still certain points that will make you feel confident your Instagram Live won’t shame you. Make it casual and be real. Don’t think too much over one question if its a Q&A live video, but be yourself, not afraid of mistakes. Invite others (followers, colleagues, influencers, etc.) for a live session. This will not only make it a bit more fun but also decrease the pressure of responsibility of posting a live video for everyone’s judgment. Before you start a live video, check whether the lighting is good and the room is not echoed. So, in this single article, we managed to cover all the important points of utilizing videos on the Instagram platform. InstaBF is sure they will be of a great benefit to you. Besides that, we have another grandiose suggestion how to increase your engagement and the number of your followers. Order as many likes, views, comments or followers as you may need and all this at an affordable price. Visit the home page of InstaBF and get more detailed information. Creating an accessible means for sports fans to follow the Olympic Games and feel a part of this sports festival is not the only merit Instagram Stories have. Due to this platform, multiple businesses found a way of increasing their popularity around the whole world. A massive “march” has begun to persuade athletes to partner with diverse brands, mostly those selling sports goods. Winter Olympic Games and Instagram together are a great tool for businesses to reach up to fresh and engaged audiences. Not making use of the tons of opportunities Instagram Stories feature has opened to businesses would be the greatest mistake! With a good approach, a brand can cooperate with athletes, who are capable of reaching to thousands of users with only one photo/video posted in the Stories. Businesses can translate this type of collaborations into conversions for their business and scores of brand new followers. InstaBF wants to present to your attention a couple of bright examples of successful cooperation between brands and sportsmen. But before that, it will be definitely great for you to have a look at our special offer. InstaBF offers as many likes, comments, and followers as you would like to get. And all this at an inexpensive cost. InstaBF provides exceptionally real-looking profiles, hence you needn’t worry about shadowbans. One of the best examples of an effective partnership between athletes and brands is that between Mark McMorris, a Canadian snowboarder and RBC. The bronze medalist actively advertised the Avion Card of the brand throughout the entire Olympic Games. And once Mark made a Story with the Card, RBC immediately boosted that post thus getting to even more of Mark’s followers! Another example can be seen by the collaboration between Tessa Virtue, Figure Skating gold medalist, and Hudson Bay. She proudly wears the brand’s Virtue x Victory jacket and illustrates that fact on her Instagram Stories. This way the brand creates an immense interest among Instagram users about the behind-the-scenes content and promotes its products to potential customers. Influencer marketing together with Instagram Stories is in the top of the popularity right now. And this type of business partnering with influencers, that is athletes, in this case, tends to grow even more in the course of time. And as there are far more “precious” influencers today involved in the Olympic Games than ordinary ones. However, it’s also crucial to pick up the right athlete. For instance, a company selling snowboarding apparel shouldn’t find it rational to cooperate with a figure skater. Brand relevance in these cases is crucial not to appear inauthentic. 2018 Winter Olympic Games have been keeping the world in a festive tension since the 9th of February. And this brought forward a funny fight between different social networks including Facebook, Snapchat, Twitter and, of course, Instagram. And even if the first three are getting filled with new photos of sportsmen and the most important events of the Games on a daily basis, none of them can be compared with the success Instagram Stories are enjoying at the current time period. Thousands, if not millions of new photos and videos are added to Insta stories constantly attracting more and more followers. It’s noteworthy that if 2014 Winter Olympics was the Twitter Olympics, and 2016 was epic for Snapchat, the gold of 2018 Winter Olympic Games in Pyeongchang goes to Instagram! 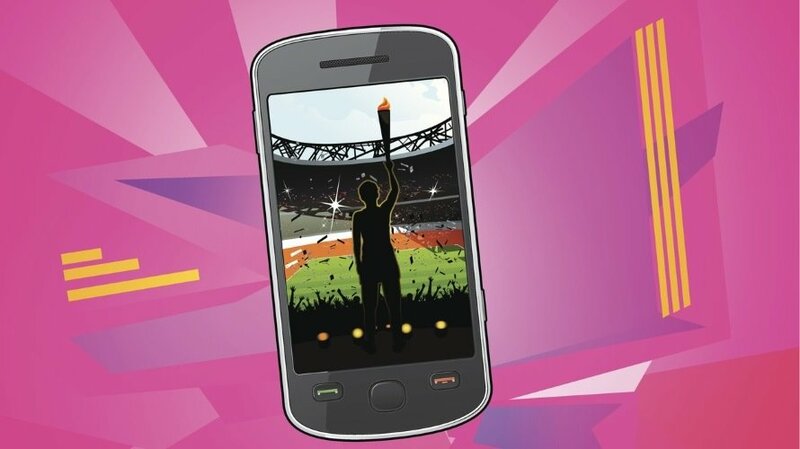 InstaBF wants to bring to your attention how Olympic Games were illustrated through Instagram Stories. But prior to this, we would like to remind you about a wonderful possibility of increasing the number of your followers. InstaBF offers several packages of likes, comments, views, and followers on an affordable basis. All these will be provided by real-looking profiles, hence you needn’t worry about the safety of your account! According to Georgia Sapounas (Canadian Olympic Committee digital director), Instagram’s Stories are the best way of capturing the excitement and atmosphere of Olympics without appearing boring. The Stories function is versatile and very easy to use with the opportunity to share videos that won’t stay longer than a day. And this is a great means to follow your favorite sportsman’s days in Olympics. For instance, if you are Shaun White’s fan, you are sure to be following all his achievements in Olympics as this three-time Olympic gold medalist sportsman started sharing with his experiences about the Games right from the moment he started his journey to Pyeongchang in the plane. Every day he shares every important (and maybe not so) moment of his arrival in Olympics. He speaks directly to his fans, shared his experiences and the emotions when he got his third gold medal! And all this was possible due to Instagram Stories feature. Additionally, along with his gold medal, Shaun hit his 1 million followers’ barrier! If you follow the popular food blogger Tieghan Gerard and her marvelous meal recipes, you must have noticed her sharing wonderful moments right from the Olympics. Her younger brother Red Gerard is participating in the games, and Tieghan has managed to share every amazing moment form their arrival to Pyeongchang to Red’ gold medal run! By the way, after this, Red gained not less not more than 200 000 new followers! According to Sapounas, the entire committee immensely benefited from Instagram Stories this year, as this feature took the Canadian delegation to the center stage, what can’t be said about Summer Olympics in Rio 2016. 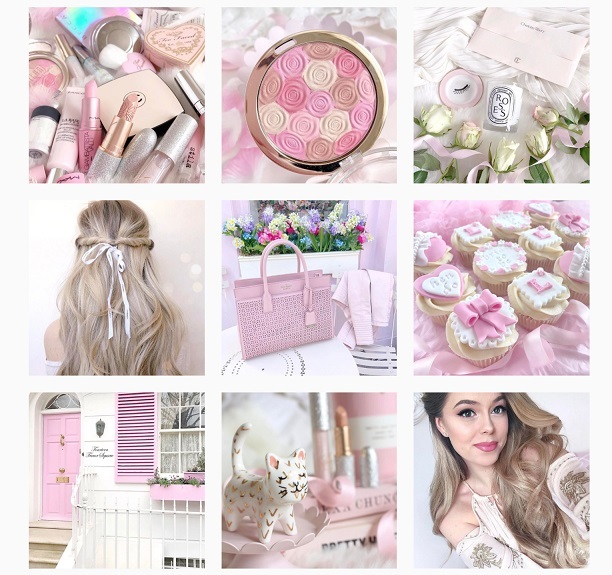 Have you been struggling to increase your Instagram account engagement spending months and years on it, yet haven’t made out what works for you and what not? Perhaps it’s time to run an Instagram audit. Surely, this is not the funniest thing to spend time on, yet if your aim is to achieve success on Instagram, it’s definitely where you should start your work from. InstaBF is going to provide you with authentic and useful steps to undertake when auditing your account right now. But before that, let us remind you we are the service you can always rely on whenever a new “portion” of likes, views, comments or even followers are needed. Be aware that all the accounts we utilize belong to real users with active engagement on Instagram. What concerns the prices set, you’ll definitely be pleasantly surprised. The important thing to check out before passing to actions is revisiting the Key Performance Indicator and goals when you first set your account. Did you plan to increase your sales through Insta adds? Or perhaps you just needed to enlarge your brand awareness? In any case, make sure you have set one (well, at least not too many) attainable and specific goal your Instagram account should complete. The next step is checking out your knowledge in your audience. Do you know who your followers are? Which of your posts do they like the most? At what time are they usually online? Who do they follow besides you? Find answers to all these questions to reveal how well you are aware of your audience. Did you know that Instagram provides more opportunities to business profiles as compared with personal ones? These users have an access to different advertising opportunities and analytics. Consequently, remember that business is the way to go and turn your profile from Personal to Business, from Private to Public. Consistency is the next point you need to check out. Check, whether you have developed a unique style and have adhered to it in your photos and content. This will make your brand recognizable. The same refers to times of your posts. It’s really crucial to find the golden middle neither to annoy your followers nor to make them forget you. Another point that strongly needs auditing is the content you post. The way toward success here is mixing photos, carousel posts, and videos, as well as adding a spice to them with relevant hashtags and geolocations. Moreover, don’t forget to comment and like other brands’ posts to send an algorithm to Instagram that your profile is active. 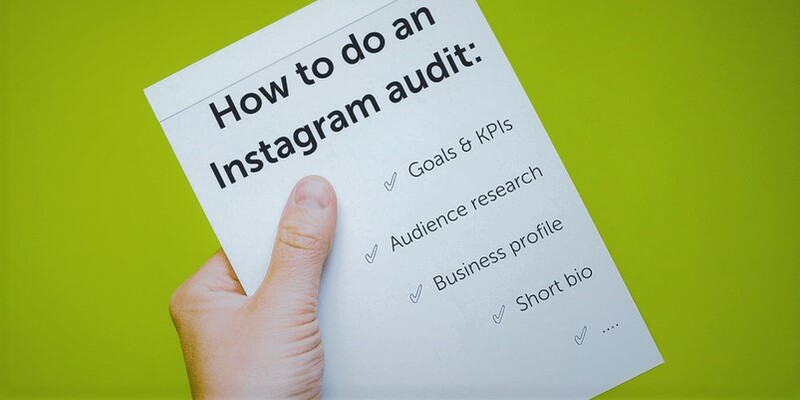 To make a productive Instagram audit, make sure you have checked all the steps mentioned above. And don’t ever get upset, just develop a strategy and stick to it! Undoubtedly, the best results in everything are achieved with practice. Yet, watching those who have already attained what you crave for can also be of a great benefit. This refers to perhaps all spheres and the social network Instagram is not an exception. Closely observing most successful Instagram accounts with endless engagement and massive followers that can be effortlessly converted from fans to real customers, you will find out five foundational aspects that can impressively assist in building a reputation in Instagram. And right now, InstaBF is going to share these authentic characteristics with you. But prior to this, let us introduce you our special offer. InstaBF is the company, that can increase the number of your followers as high as you may wish! We provide Instagram accounts with likes, comments, views, and real followers. And all this is provided on an affordable basis. Order a new portion of likes now and get assured of it yourself. Beyond any consideration, the first aspect in increasing the number of followers on a daily basis, create firm relationships with your audience, as well as obtain the highest engagement rate, consistent posting is crucial. However, the number of posts to make on a daily basis differs depending on the audience, as well as your niche. For instance, one post per day will be great to leave your audience satisfied yet not bored. It’s also important to mind the time of your posts. Making them around the same time when your audience is most active will bring better engagement. It’s recommended to use applications for scheduling your posts. Unlike Facebook and other social networks, Instagram is all about imagery! And that’s why all users are most fond of this platform. Therefore, it’s natural that high-quality images are to be posted here only. Make sure all images are of the same design and coincide in their themes. There is absolutely no need to hire a photographer for all your images. Using highlights and applications may be of a great help to you. Post crisp, eye-catching and audience-attractive images. Certainly, all successful Instagram users are well aware of the need to write personal captions. It’s really important to infuse some of your personality into your captions. This way your audience will feel closer to you. Give this a try and watch a flaw of comments on your account. As you can see from the most popular Instagram accounts, those who spend some time on getting to know their fans better, eventually have more truthful followers. And it’s mandatory to attract directly your target audience, the people who will benefit from your posts or offers. Believe, by figuring out your target audience and spending time on engaging them will result in the impressive increase of your followers and your account engagement. A certain adopted strategy or its absolute lack may result in your account engagement level as well. Agree, that the best accounts on this mighty social network have adopted a unique strategy and stick to it. These users research the most appropriate hashtags, consider the best time for posts, use encouraging CTA, get creative bios, etc. All these purpose-driven actions together serve as the clue toward turning your Instagram account into a more successful and organized one.